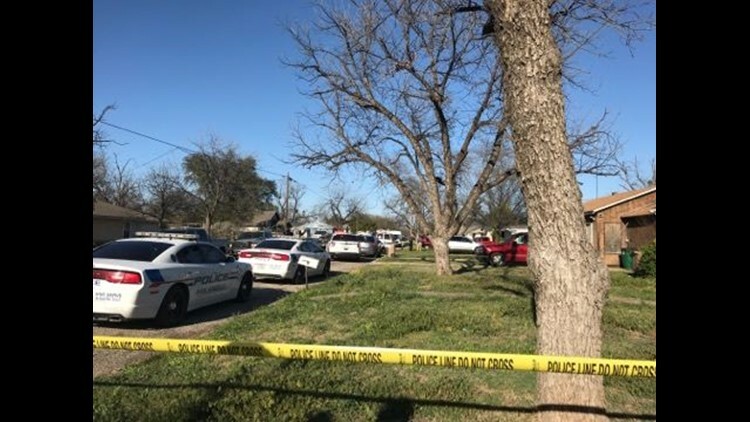 SAPD is investigating a homicide on the north side of town after officers were dispatched for shots fired just before 4:30 p.m.
SAN ANGELO, Texas — One man is dead and another in police custody after San Angelo Police officers were dispatched to the northwest side of town just before 4:30 p.m. Tuesday on a shots fired call. When officers arrived on scene, they found a 28-year-old male dead in the yard of a nearby residence in the 2000 block of Bailey Street. SAPD is now investigating Tuesday's shooting as a homicide. SAPD Public Information Officer, Tracy Piatt-Fox, did confirm that a suspect is in police custody. "All hands on deck." Piatt-Fox said, "There are multiple members of the Criminal Investigations Division here, we have our crime scene technicians on scene." This is an ongoing investigation and we will provide more details as they become available.